NORMAN, Okla. (AP) – The University of Oklahoma’s president says he’s still finding inefficiencies and waste in the institution’s finances. University President James Gallogly tells the Tulsa World that he’s concerned about the university’s investments in student housing and residential colleges. He says low occupancy at new housing facilities is causing the university to lose money and consider rent subsidies. Gallogly says the university’s debt load is more than $1 billion. He says the university is projected to have $14.5 million in operating losses for the current fiscal year. 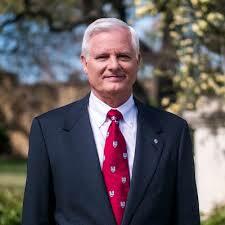 Those figures prompted Gallogly to begin working on the university’s finances shortly after taking office in July. Gallogly says the university’s debt rating is still good. He declined to disclose an itemized list of more than $12 million in cost savings he’s uncovered so far.